The State University of New York at Buffalo is a public research university with campuses in Buffalo and Amherst. Established in 1846, the University at Buffalo is a research-intensive institution located in upstate New York, close to the Canadian border. UB is dedicated to academic excellence and its research, creative activity and people positively impact the world. It has the largest and most comprehensive campus in the 64-campus SUNY system. It is an established leader and is consistently recognized by top university guides and publications for the excellent value and high-quality academics. 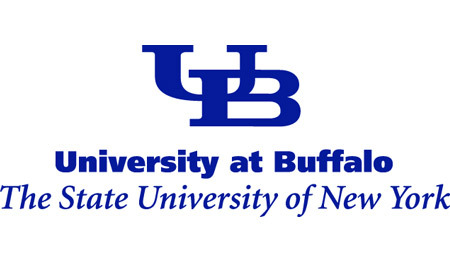 UB's alumni and faculty have included a Prime Minister, astronauts, Nobel laureates, Pulitzer Prize winners, 3 billionaires, Academy Award winners, Emmy Award winners, Fulbright Scholars, and Rhodes Scholars. The university was founded by Millard Fillmore, who served as the school's first chancellor and who would later serve as U.S. President and U.S. Vice President, making UB one of the only two universities founded by a U.S. President. Buffalo’s faculty have also been recognized by awards as the Nobel Prize, the Pulitzer Prize, the National Book Award, the National Medal of Science and the National Medal of Technology among others. The inaugural Wall Street Journal/Times Higher Education College Ranking of U.S. colleges and universities — based on data from Times Higher Education — places UB at No. 28 among the nation’s top public universities. UB is No. 130 among more than 1,000 private and public colleges and universities ranked by the WSJ/THE. UB is rated highest — No. 1 — among SUNY institutions in the ranking. Buffalo has consistently placed in the top cluster of U.S. public research universities and among the overall top 30 research universities according to the Center for Measuring University Performance and was ranked as the 38th best value for in-state students and the 27th best value for out-of-state students in the 2012 Kiplinger rankings of the best value of national universities. U.S. News and World Report's 2017 edition of America's Best Colleges ranked UB the 99th on their list of best national universities and the 43rd among public universities. UB's admission is considered selective with high levels of transfer-in as well as rolling admission deadlines. The university received 21,985 applications for the Class of 2015, admitted 51% of them, and matriculated 27.9%. Some of UB schools are highly ranked. The School of Engineering and Applied Sciences is ranked the 63rd by U.S. News. The School of Management is ranked the 77th by U.S. News, the 45th by Forbes and the 60th by BusinessWeek, making UB the highest ranked public business school in SUNY system. The School of Education at UB is well regarded, and is ranked the 71st. The School of Public Health and Health Professions is ranked the 31st, the School of Nursing is ranked the 75th for masters, the 38th for doctorate, with the anesthesia program ranking the 10th in the nation. 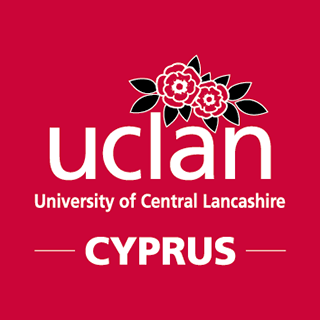 The School of Pharmacy and Pharmaceutical Sciences is ranked the 22nd, the School of Social Work is ranked the 27th, the School of law is ranked the 100th. The audiology program is ranked the 17th, rehabilitation counseling is ranked the 21st, speech-language pathology is ranked the 30th, English is ranked the 44th, library and information studies is ranked the 39th, math is the 73rd, physics is the 85th, fine arts is the 69th, political science is the 76th, history is the 92nd, physical therapy is the 79th, occupational therapy is the 32nd, computer science is the 63rd, chemistry is the 76th, statistics is the 70th, psychology is the 63rd, and clinical psychology is ranked the 50th. The Buffalo-Niagara region is a major metropolitan area with a diverse blend of communities, each with its own distinct character well known for their welcoming nature and spirited loyalty. In a city as diverse as Buffalo, there is always something fun to do, whether it's taking a leisurely walk in one of glorious Olmsted-designed parks or taking in a thought-provoking work of art at dozens of art galleries. Forbes magazine declared Buffalo the “best U.S. city” for commuting. In fact, Buffalo’s average commute time—it has been clocked at 20 minutes—is the second-shortest of the country’s 52 largest cities. Billed as the “20-Minute City” and "America's Best Designed City," Buffalo's world-class design makes getting around a snap.